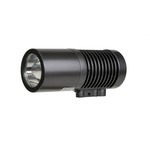 Infrared (IR) Illuminators - INF-940B - Only $149.95! 940nm infrared LEDs so that they can not be detected by the human eye in the dark. These IR LEDs in these Illuminators operate at a 940nm frequency and DO NOT emit a red glow. This makes them undetectable in the dark and is why they are sometimes the best choice for covert / spy video surveillance systems. 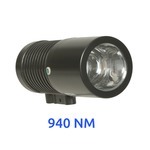 Although 940nm LEDs do not illuminate quite as bright as 850nm IR LEDs that a typically found in IR Cameras.